I catered for my Dad’s 87th birthday party last weekend. Here’s some highlights of the spread. 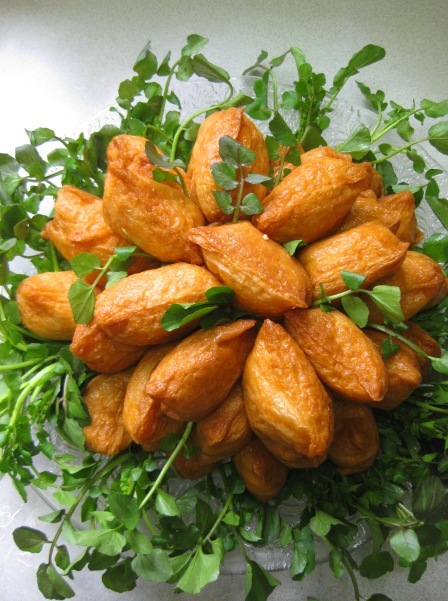 Inari-zushi are one of my favourite ways of serving sushi rice, and I have had loads of practice at making them. They are served here on a bed of watercress leaves. Splendid finger food! I had a bash at cake decoration – it has never been my specialty. I need a bit more practice with the piping bag. 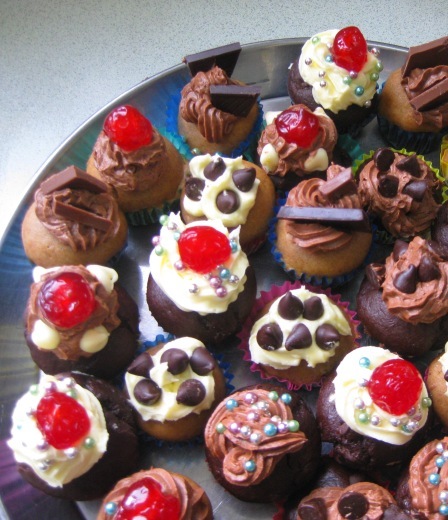 The mini-cupcakes were based on a great recipe for eggless cupcakes by fellow food blogger Sanjana. 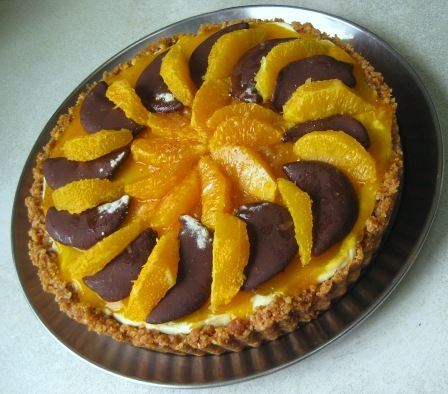 The citrus cheesecake was based on a recipe in my very first cookbook. Lime, and orange flavoured inside with a mandarin jelly topping and glace orange segments dipped in something brown and naughty. 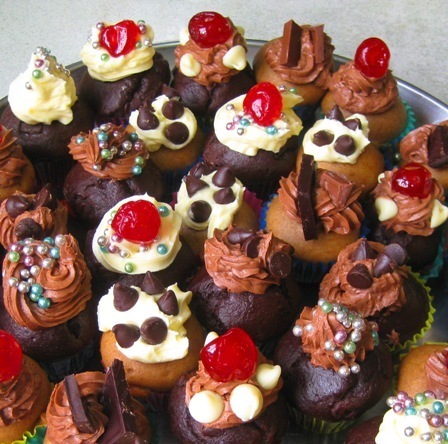 Here’s those mini-cupcakes again – pretty little dudes. It was great fun putting them together, and I gave myself plenty of time for a meditative and careful construct. 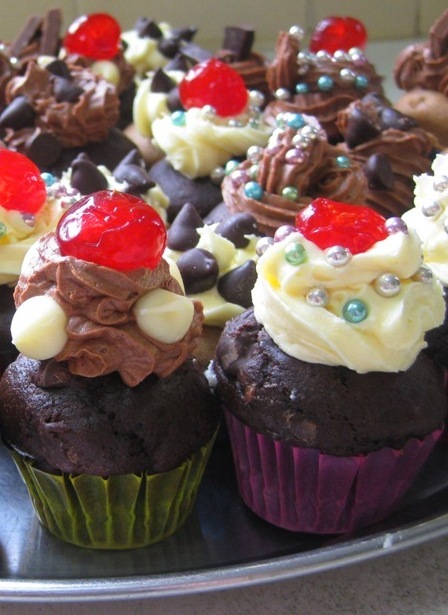 And even closer encounters of the cupcake variety. Two varieties of cupcakes and two varieties of buttercream toppings plus eight different toppings meant that almost no two cupcakes were exactly the same. Simultaneously one and different!